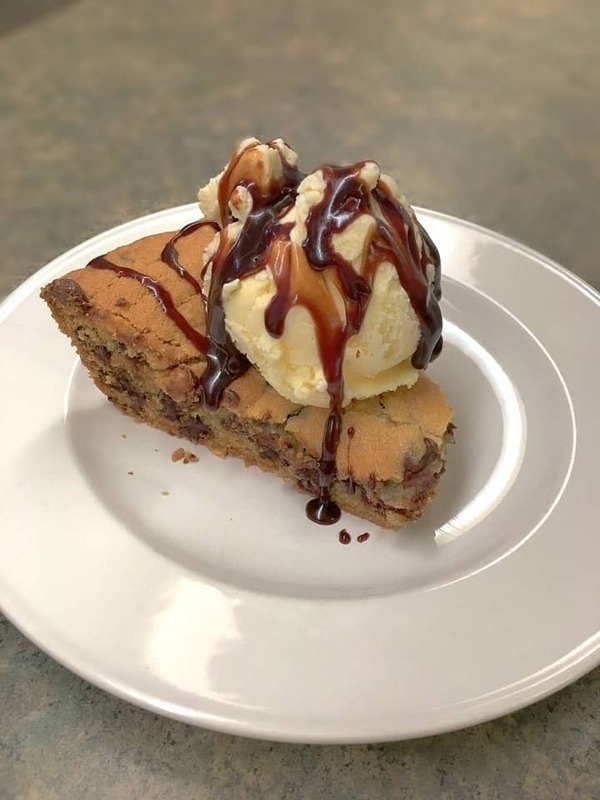 What do you think of when you bite into a perfect, warm chocolate chip cookie, like mom used to make? I think every great childhood memory rushes in when I eat one. 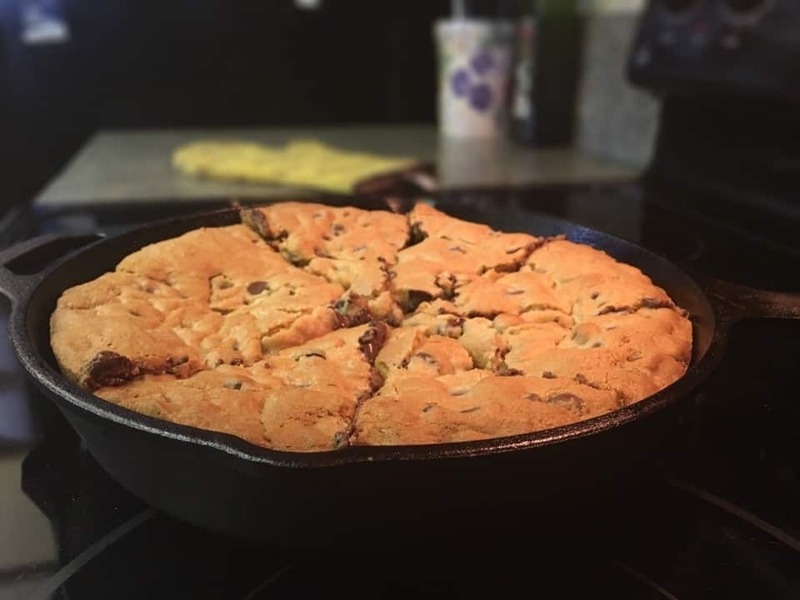 The kids are always trying to get me to make a giant cookie, and I thought it would be fun to try it in my cast iron skillet. Why not add a little bit of iron-in-your-diet goodness to a giant cookie? The cookie was easy peasy to make, and so amazing. 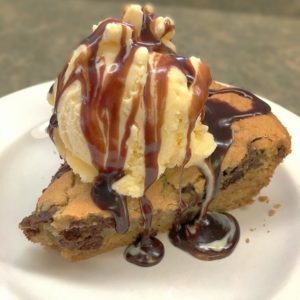 Melt in your mouth, hand-it-all-over amazing. Mix the butter, sugar, brown sugar, eggs, and vanilla in a medium-sized bowl until well blended. Butter the cast iron skillet and add the entire cookie dough mixture. Press down with your hands until it is flattened. Bake for approximately 30-40 minutes, or until cake tester comes out clean. (With my oven, I cooked the cookie for almost 40 minutes).